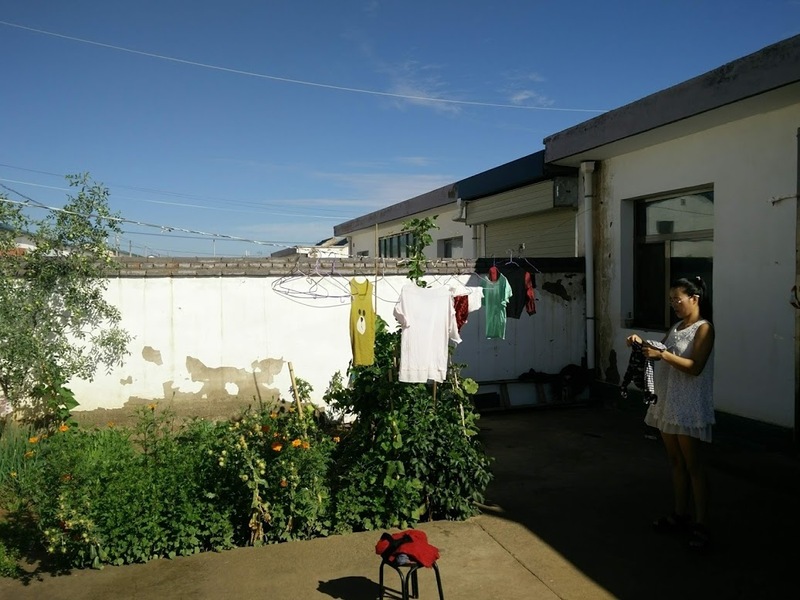 Four and a half years after my trip to explore the resettlement efforts associated with the Three Gorges Dam, I traveled back to China with my friend and colleague Ruishan Chen to explore another kind of resettlement: Ecological Migration in Gansu, China. This trip was more personal for Ruishan; his parents had moved from the hilltop village in Gansu Province where he grew up, to a large resettlement area in the arid lowlands. 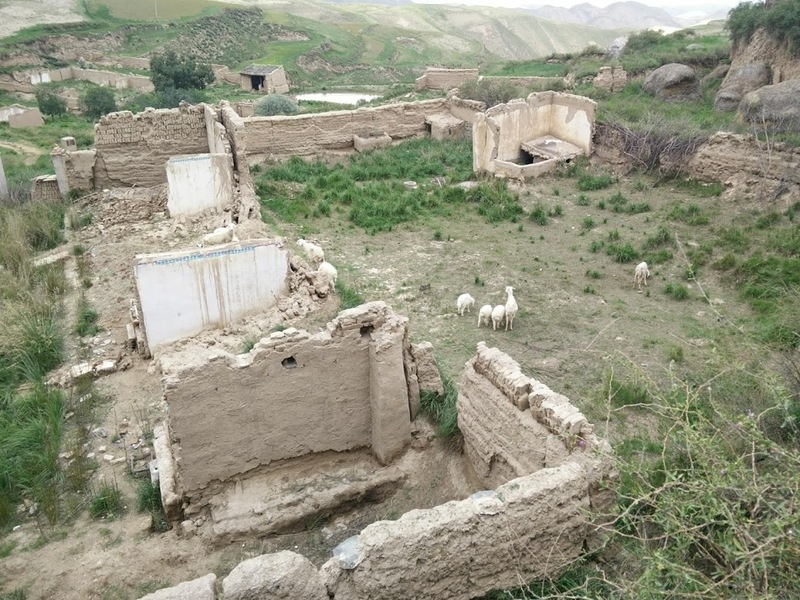 While they weren’t forced to leave, they saw the proverbial writing on the wall, and got out before the rush of other villagers who were bought out by the government and offered new homes in the oasis. Their head start gave them better options and more land to cultivate in the lowlands than those who waited. The Chen family home back in the village: sheep graze where humans once led their lives. 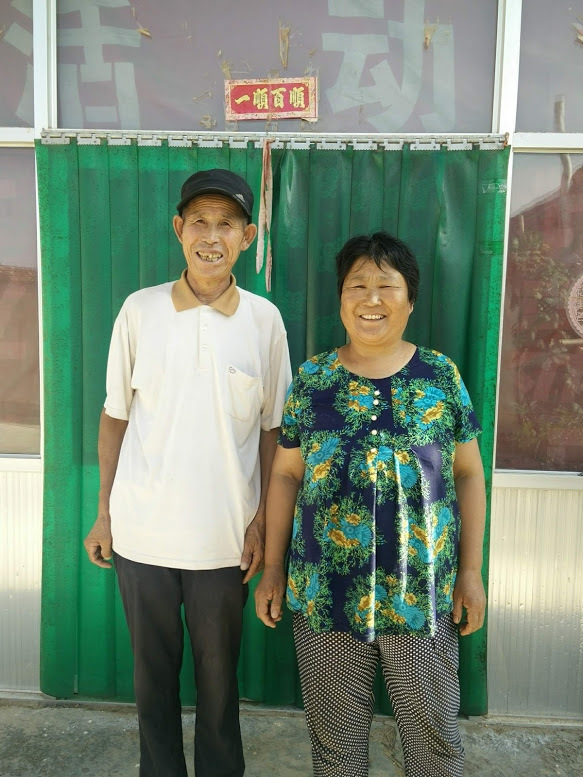 Ruishan’s family had lived in the village of Xuejiashui in Gulang county since the 19th century, where they grew wheat and beans and tended sheep. Life was not easy. Roads and electricity did not arrive until the 1990s. By any standards they were poor, eating meat but once a year during Chinese New Year, and selling much of their grain production to pay for school fees and materials. During the dry season his father worked as an itinerant laborer, earning around two dollars a day unloading trains and working at cement factories. Ruishan was gifted, and by 6th grade he was sent to a town 30km away for middle school, departing from home by foot on Sunday evenings and returning on Friday afternoon. His parents supported his education through high school; today he holds a doctorate in geography from the prestigious Peking University. Ruishan’s parents: semi-retired life in the new settlement seems to suit them. His family’s story of Ecological Migration is not that different from the exodus from remote rural areas occurring throughout the developing world. Life in the village was difficult with no health posts or amenities, and the nearest market town 30km away. The young began to move out in search of better opportunities. Thus began a process of “hollowing,” as the Chinese say. Hollow villages are those villages that have lost a major portion of their populations and are no longer viable. 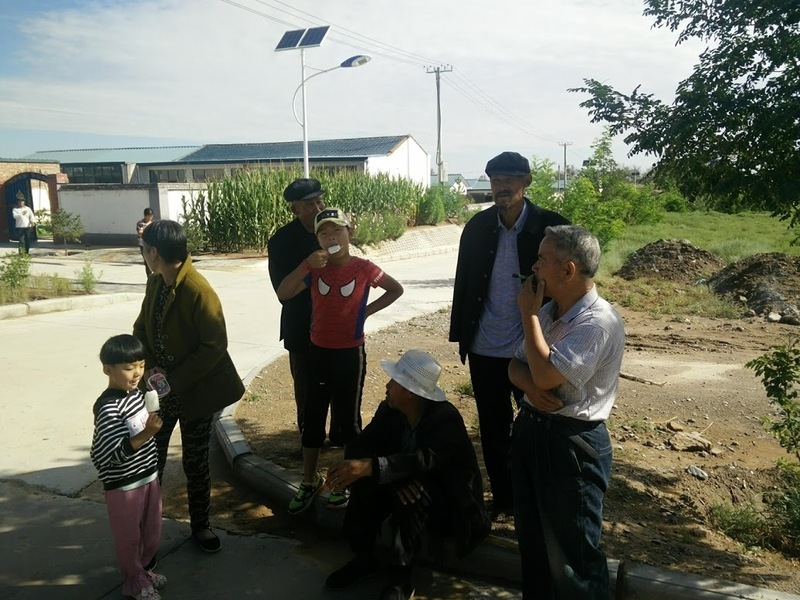 With only the elderly left, and with the high cost of maintaining such amenities as existed (the village had a school and electricity, and a gravel road had been recently built), the Chinese government began to offer incentives to families to move. In Ruishan’s case, he chose to move his parents because health care in the village was nearly non-existent. Like many dutiful Chinese children who live far from their ageing parents (Ruishan lives with his wife and family in distant Shanghai), he gained peace of mind by having them closer to clinics and hospitals. The family spent the equivalent of US$30,000 to move to the oasis areas—a princely sum for those who had once been so poor. Irrigation infrastructure in the oasis areas: water comes from the highlands and Yellow River diversions. The desert areas range from semi-arid to arid, and offer the aforementioned amenities, plus a range of government schemes to create new enterprises, mostly around agricultural production (grains, vegetables, fodder, and livestock). 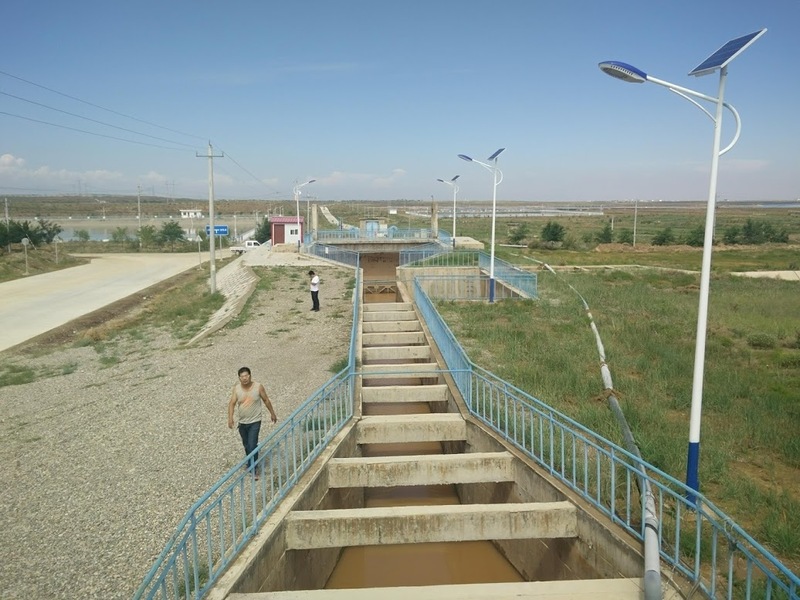 We witnessed some major water works, including piped diversions of the Yellow River and reservoirs filled by piped-in water from mountain streams. These are intended to turn the desert green. We visited what is intended to be a fantasy theme park based on a famous Chinese novel “Journey to the West,” and a small Silk Road theme park with animals and children’s rides. The villages, settlement 1, 10, or 12, are as nondescript as their names (in fact Ruishan’s parent’s village has no name). They are constituted of rows of identical housing units—court yard, house, and back yard—and town squares that are nearly devoid of life. New highways have been built, but businesses in these towns do not flourish as trucks and buses pass them by. Inside the courtyard of a resettler’s home: most families have vegetable plots and some keep animals have more extensive fields. Street corner meeting of the old and young in an oasis settlement: many elderly parent their grandchildren while their children work. I met several of Ruishan’s cousins. Some are making a living of sorts in the oasis areas, often through businesses supported by government loans. Ruishan says it is too early to say if they will be profitable. Others received more schooling and have moved to cities along the Silk Road. It may be an unfair generalization, but it seems to me that China is largely a nation of relatively well-off consumerist city folk who are one generation removed from abject rural poverty. Few countries have experienced the blinding pace of change that China has in a single generation. Yet humans are extremely adaptable, and by and large the “ecological migrants” of Gansu seem to be happy with their lot. Meanwhile, the mountain fields laying fallow over many years will be less subject to erosion, enhancing water quality (and potentially quantity) downstream. But it is unlikely they will sustain agriculture again, and this in a country that is very short of agricultural land, and which sees close to 7% increase in impervious surfaces per year. So, it is hard to precisely quantify the environmental benefits of Ecological Migration. Yet, like my trip to the Three Gorges on the Yangtze, I see a certain inevitability in this societal transformation. Rural village life in the mountains may seem romantic and noble to urbanites, but those who experienced its crushing poverty and daily deprivations are less sentimental about letting it go. At least in the areas I saw in Gansu, what the West sees as top-down decision making by government fiat is actually a more complex process, though it still entails sacrificing individual freedom for the collective best interest, however construed. That has been the Chinese way for many centuries and is unlikely to change. Gulang county in the village of Xuejiashui has deep historical roots but it has also been a fact that this county has faced strong ecological shifts.